Growing up, Cult Gaia's Jasmin Hekmat was surrounded by so many beautiful clothes and accessories that her mother, a fashion designer, owned and created - it's likely why she has such a great eye. 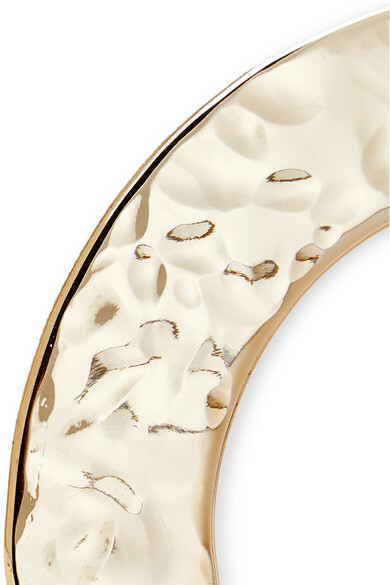 This 'Tala' bangle is made from hammered gold-tone metal and cast in an oversized shape that'll even slip to your upper arm. Wear it solo with a rainbow-bright manicure. Shown here with: REJINA PYO Top, REJINA PYO Pants.